Its 25 December round the corner and everyone is trying to pick a perfect present to friends and relatives as a medium to convey best wishes for the special moment. Christmas, this once in a year affair is a special moment, when gifts and goodies are exchanged out of happiness to friends and relatives. So, if you also have someone special to whom you want to bestow the best wishes for this upcoming festival then Send Christmas Flowers Online to India for convening heartiest wishes. We are here for you to rectify your worries in consideration of picking gifts and goodies as Christmas wishes. Well, there are so many things that can be presented as the special gift of the day such as cake, cookies and other gifts but flowers have their own significance for the day. 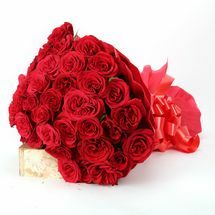 There are varieties of flowers available with us that can match up your desires. From romantic roses, to lovable lilies and form awesome orchids to gorgeous gerbera, we have the most mesmerizing range of flowers especially for Christmas Eve presentation. Sometimes you can and sometimes you cannot make your presence felt on the special day of Christmas to your friends and relatives. If this year, you are unable to celebrate the day with those who are close to you, then you need not to loose your heart. All what you are required to do is Send Christmas Flowers Online to India from anywhere across the globe and we will responsibly deliver it safely to your beloved’s place.